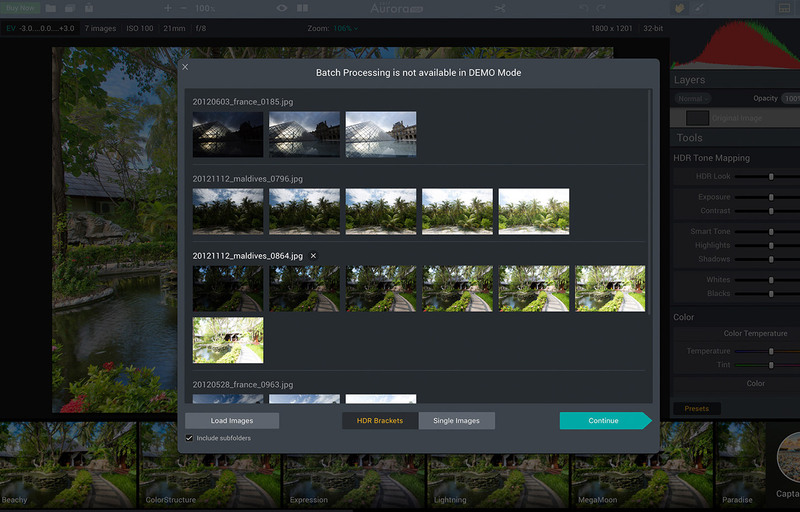 I would love if you could add a way to process timelapse sequences shot in HDR so that if I merge the three exposures and edit them as a 32bits file I can select a folder that contains for example 300 frames (1 in 0EV, 1 in +3EV and 1 in -3EV) and batch the same way that Photomatix does. I would love to process a 720 (3 exposure = 240 blended frames) HDR Raw Sequence and not having to manually edit each frame! I would also be happy to HDR merging and aligning option / addon. Followed by panorama. I understand if it's not for free but rather soon. Bumping this because of interest. A true fleshed out HDR feature would be amazing! 32bit HDR editing mode is coming this year. It's a little to soon for details but there's a few tidbits on this thread. I really need the ability to queue up a bunch of HDR merge jobs. I should be able to iterate over batches of files merging 5 to 1 or 3 to 1 or whatever. Not having to mouse through the menus every single time. +1 It would make my life easier as well. I wanted to shoot an HDR panorama and had some 20 perspectives with 5 exposures each. And manually first merge all exposures to HDR and then do the panorama was quite a massive time sink. It would be really great if I could point HDR merge to a folder and it would figure out the matching fotos itself and merge them to HDR with a preset I define. This would safe a ton of work and a lot of manual mouse clicking. I'd like to bump this! Please add an HDR batch mode. Agreed. this would be a big help.